This is a tote bag I decorated for a classmate of Alex's. 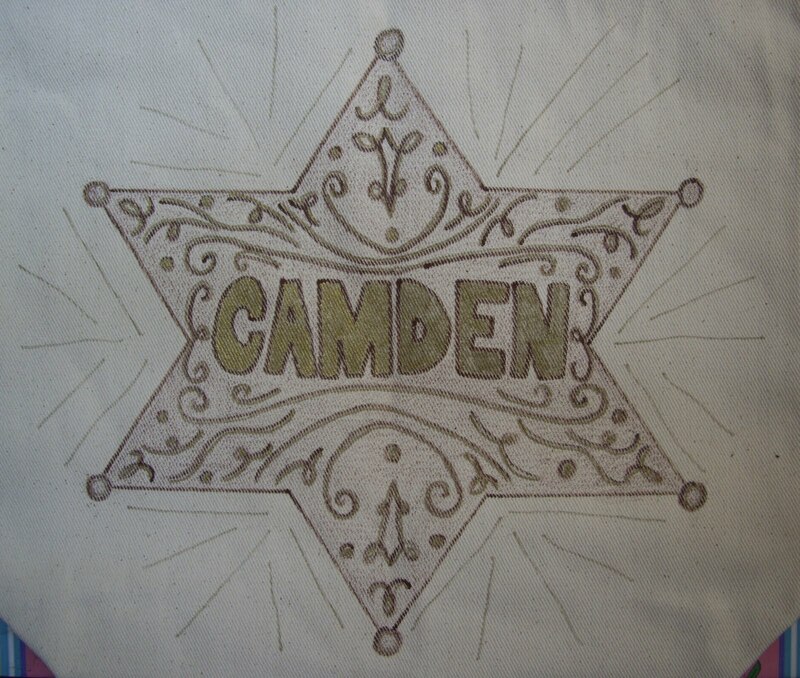 The classmate loves cow girl things, so I decided the design should be a sheriff style star badge with her name in the place where "SHERIFF" would normally go. I used a pencil to draw the design. Then, I went over the design with a brown paint pen. 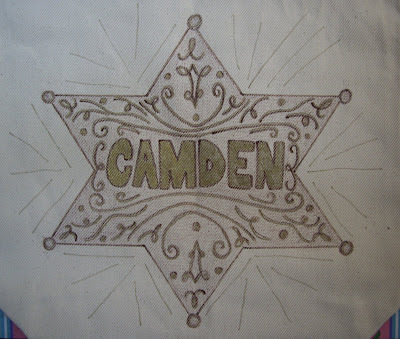 I used a brown fabric crayon to color in the star. I used a gold paint pen for the highlights. Camden and her mom loved it.